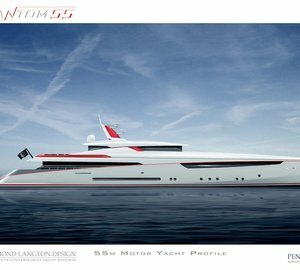 PHANTOM is an 18.90m (62') luxury catamaran built by the French shipyard CNB Bordeaux, with a launch date in 2019. The yacht features naval architecture by Van Peteghem and Lauriot Prevost and lovely, modern and bright interiors by Nauta Design. 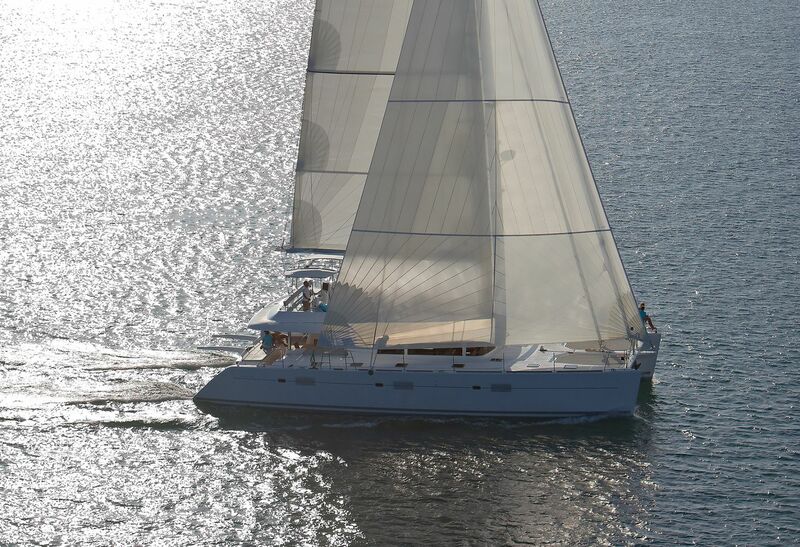 She offers accommodation for up to ten charter guests in five cabins and has a crew of three. The main deck aft is comprised of a sheltered cockpit with an alfresco dining table and sun pad to starboard and a staircase to the flybridge to port. The aft is lined with a spongy sun-exposed sofa for drying off after a swim. A staircase leads down both sides of the hull to a swim platform that offers easy access in and out of the sea. On the foredeck, there is a row of sun pad seating in front of the helm station and two forward trampolines provide an additional place to sunbathe. The flybridge above is shaded for an all-day outdoor living and behind the helm station, there is an alfresco dining area and a sunbathing area close to the stern, where a tender is stored when not in use. 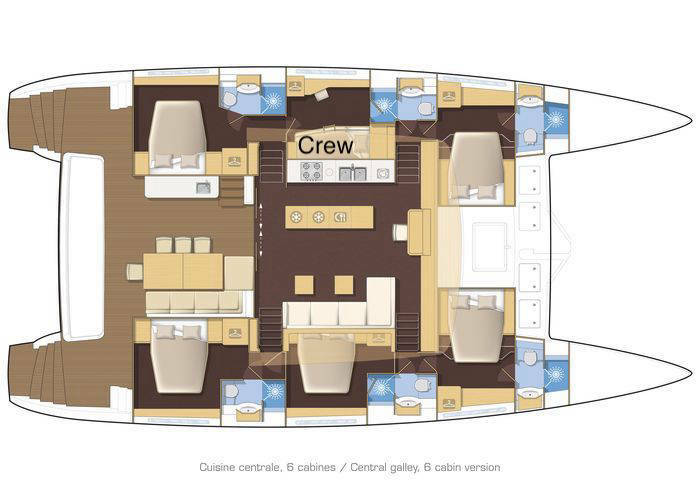 The lower deck places a double en-suite cabin forward and aft in the port-side hull with the central area reserved for the crew. The starboard hull has three double en-suite cabins, and both use forward and aft staircases to connect to the salon above. Extensive glazing on all sides creates a light and airy interior and provides a port side galley and a starboard L-shaped seating area with drinks tables that can extend out for formal dining as a large group. The helm station forward and centre divides the two sections. In low wind conditions, a pair of 110 HP engines will provide a cruising speed and top speed of 10 knots. PHANTOM offers deluxe accommodation for up to ten charter guests in five cabins with queen beds as well as private ensuite bathroom facilities. We do have available further amenity, owner and price information for the 18.90m (62') yacht PHANTOM, so please enquire for more information.